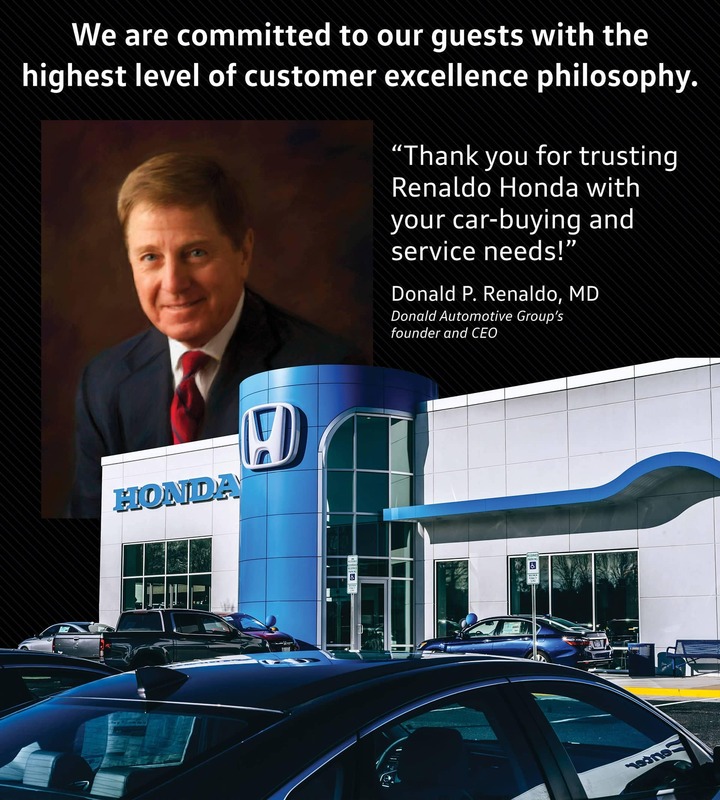 Visit Renaldo Honda in Shelby, NC, near Gastonia, NC and Gaffney, SC, to find great deals on new or used Honda vehicles, as well as a superior buying experience. From the moment you walk through our doors, we’ll treat you like one of our own. Our dedicated sales staff will walk you through every step of the purchasing process and answer any question that comes up along the way. They’ll get you out on a test drive in whichever new or used vehicle you like most. Once you’ve picked the vehicle you’d like to drive home, the finance team is ready to help. If you haven’t already completed an online finance application, they’ll assist you in filling one out and then review all of your options thoroughly while going over all the fine print of auto loans or leases, monthly payments, and interest rates. After that, you’ll be ready to drive home in your new or new-to-you vehicle. When the time for an oil or filter change rolls around, you can easily set up an appointment with our Service Department. We have a convenient online scheduling tool and flexible hours that will work with nearly anyone’s busy life. Whether you need routine service or a larger repair, our skilled technicians are ready to help. Take some time to browse through our huge inventory, our incredible specials on new and used vehicles, and our great service deals. Not only do we provide premium cars and pricing, but we are also proud to say that our customer service experience can’t be beat. You’ll enjoy every moment of your time with us, and will want to come back whenever you need a new Honda. We’d love to have you visit the dealership, located at 4421 East Dixon Blvd in Shelby, NC, close to Gastonia, NC and Gaffney, SC. We’re open Monday-Saturday and can’t wait to see you!